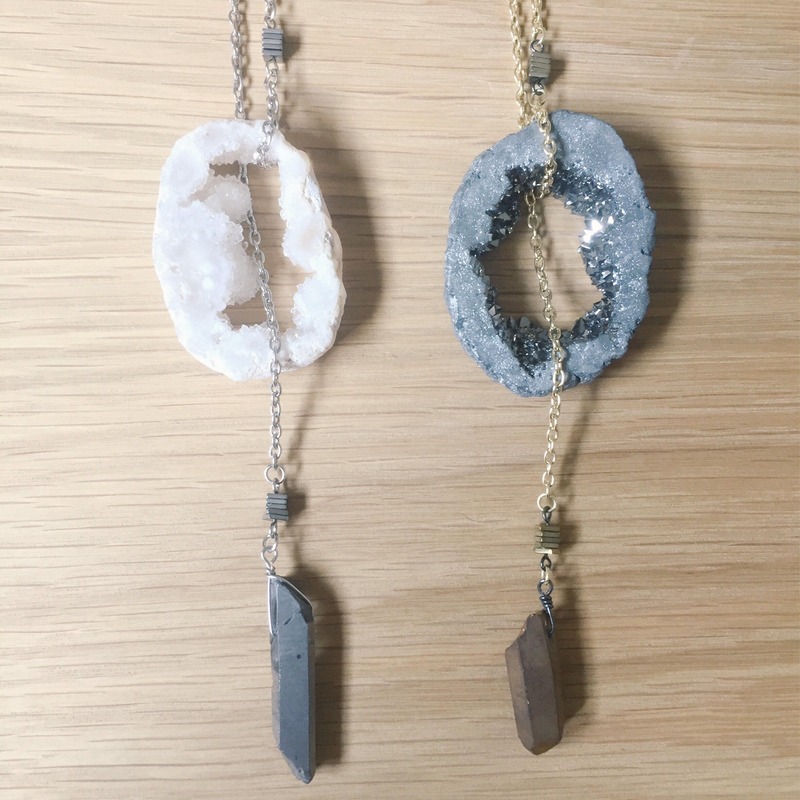 I Dream of Druzy Necklace is a big, bold, magical pieces that screams bossy. 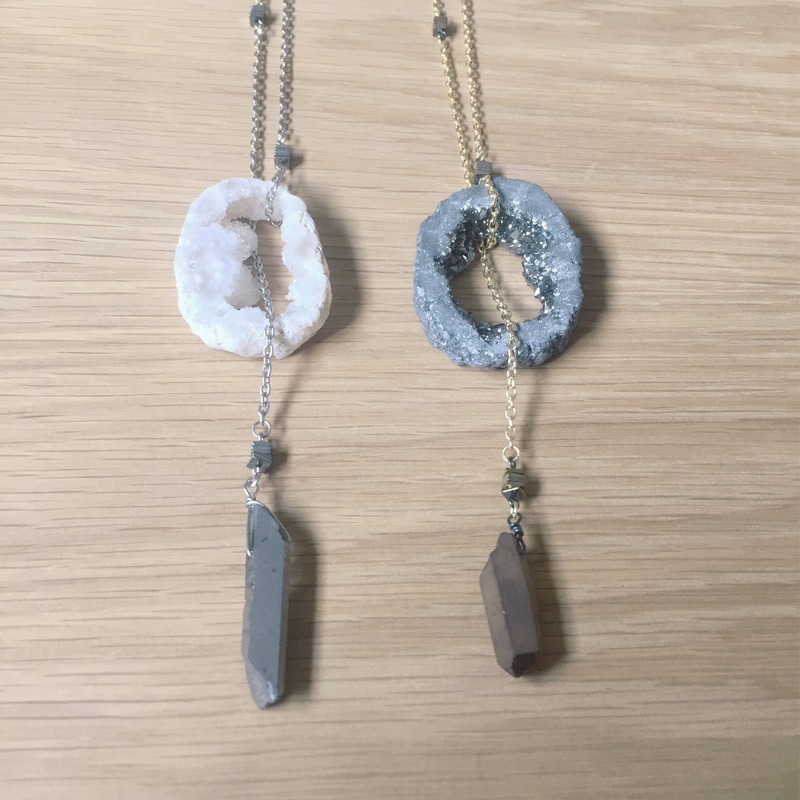 Giant quartz agate slice 27 inches in length and adjustable for various types of wearing. 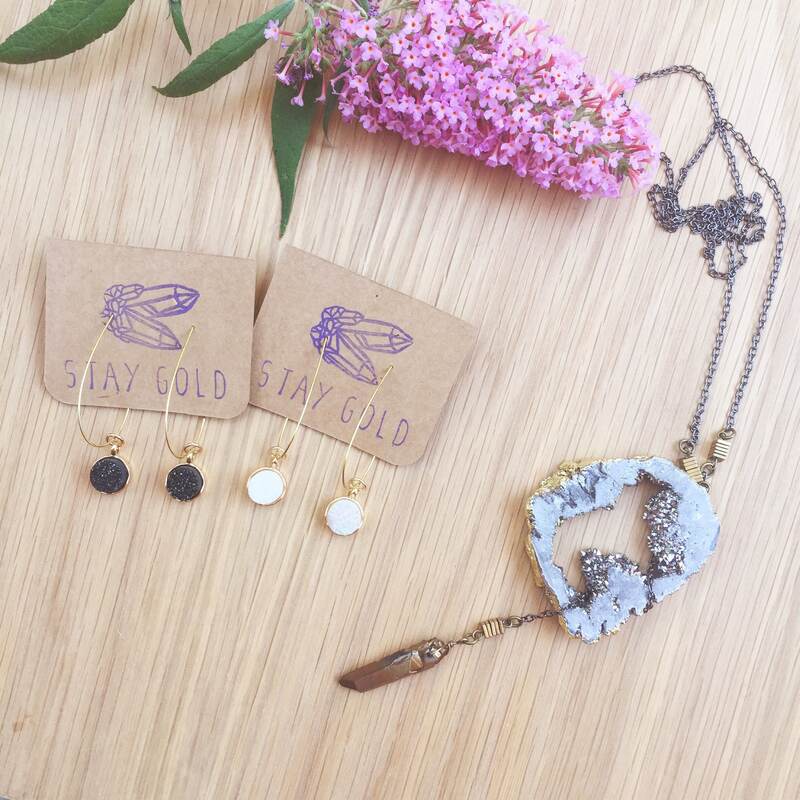 Available with a white quartz agate slice or a titanium quartz agate slice. Both necklace available with a gold or silver finish with a hanging titanium quartz crystal strung through the middle.